Elizabeth Hernandez is an Associate in the Denver, Colorado, office of Jackson Lewis P.C. She represents management in all areas of employment law, focusing on equal employment opportunity and affirmative action compliance, and statistical analyses of potential discrimination in employment practices. She assists clients in developing sensible affirmative action plans and complying with regulations enforced by the Department of Labor’s Office of Federal Contract Compliance Programs (OFCCP). She also defends clients during OFCCP investigations and audits. Ms. Hernandez is a member of the firm's Pay Equity Resource Group and assists clients in conducting pay equity analyses. 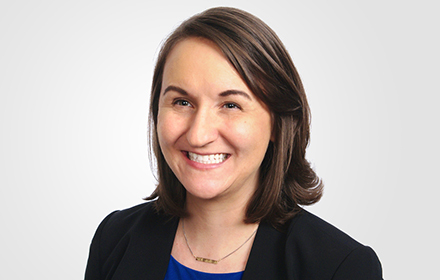 Prior to joining Jackson Lewis, Ms. Hernandez practiced as an Associate at an Austin, Texas-based firm focusing on management-side employment and general litigation matters. Her experience includes advising private and governmental employers on interviewing, hiring, discipline, and terminations; defending employers in EEOC charges of discrimination; reviewing and drafting personnel policies and contracts; and conducting employee trainings on harassment, social media, and other workplace policies. During law school, Ms. Hernandez served as a legal intern at the Texas Fourth Court of Appeals, and at the U.S. District Court for the Western District of Texas. She was a staff writer for The Scholar: St. Mary’s Law Review on Minority Issues. Ms. Hernandez was awarded First Place in the 2011 San Antonio Federal Bar Association Moot Court Competition and was a Regional Finalist in the 2010 ABA National Appellate Advocacy Competition. Prior to law school, Ms. Hernandez was a professional journalist in Texas and Colorado.